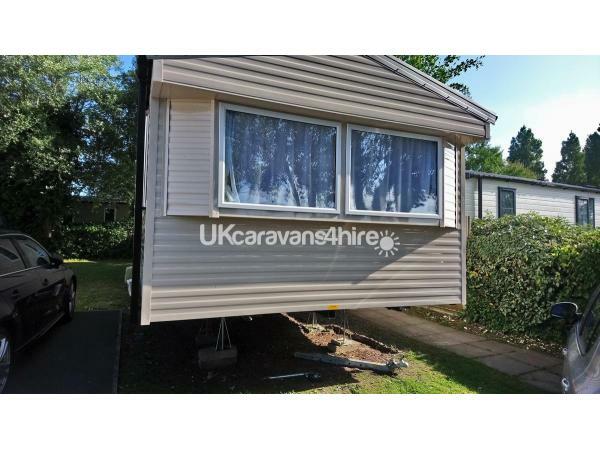 Additional Info: Private 3 bedroom static caravan for hire located at Rockley Park, Poole, Dorset. 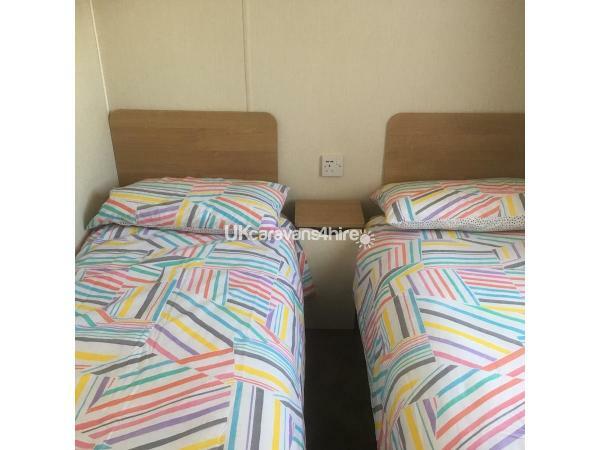 Double glazed, centrally heated caravan sleeps up to 8 guests. 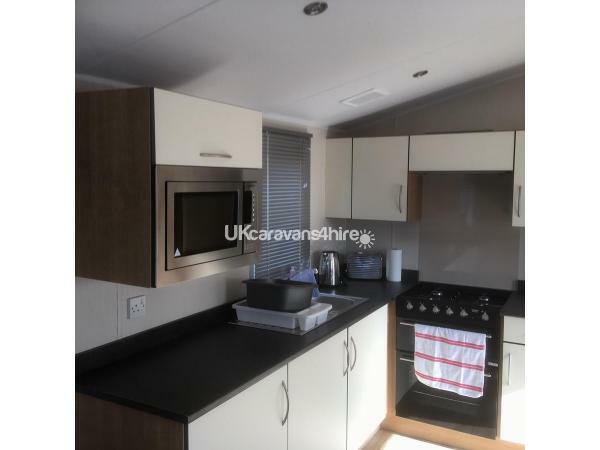 2018 Willerby The Season 35 x 12 feet. 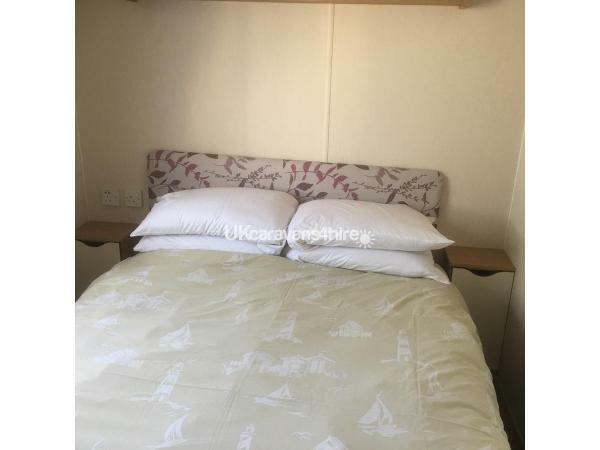 This is a family 3 bedroomed holiday home, one double with wall mounted TV and two twin rooms both with twin single beds. All bedrooms come with a small wardrobe and bedside storage. 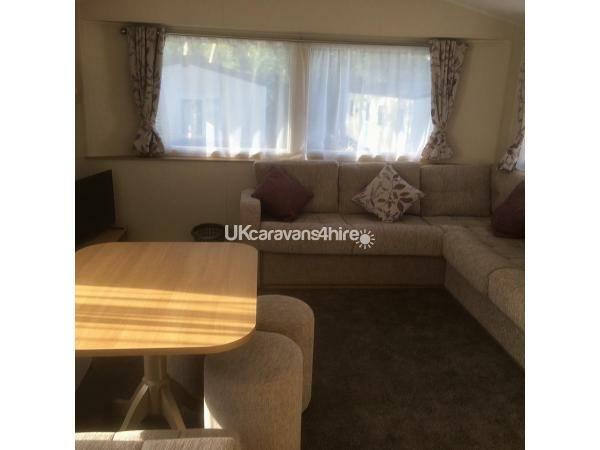 An additional fold-away double bed can be found in the lounge area, under the sofa, allowing up to 8 people to stay in the holiday home. 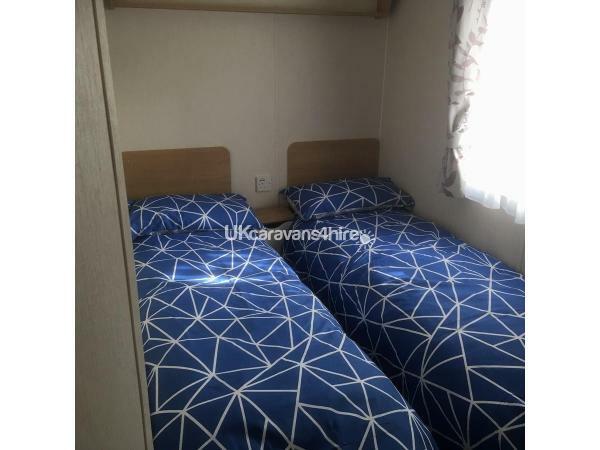 Pillows, duvets and mattress protectors are provided, along with coat hangers in all wardrobes. 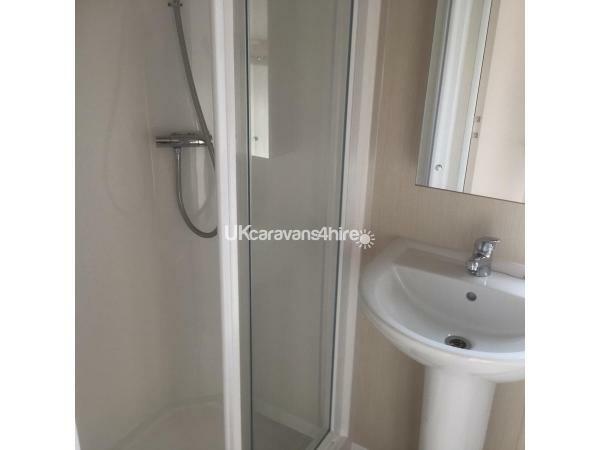 There are two toilets and one family shower room. 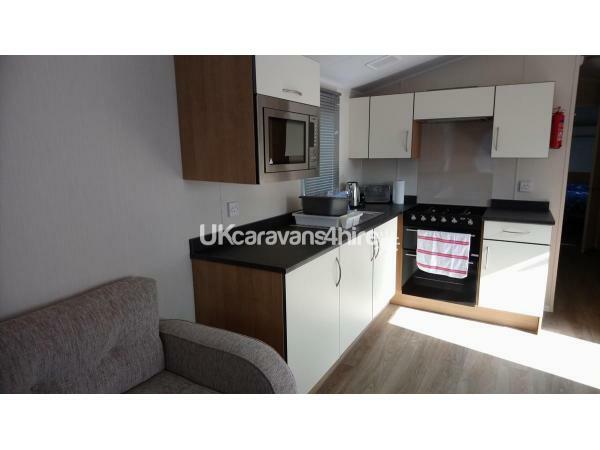 There is a kitchen, fully equipped with a gas oven, grill and hob, a fridge freezer, kettle, toaster and microwave. Plates, dishes, cups, pots and pans, oven trays, utensils, cutlery and glasses are all supplied for your convenience. The kitchen leads through into a spacious lounge and dining area with large windows allowing lots of natural light. 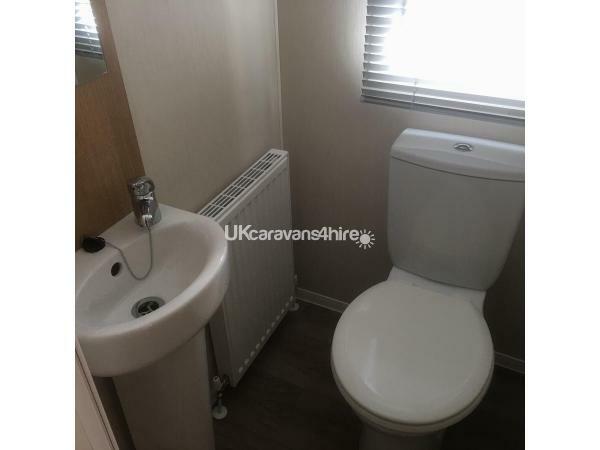 There is a large, comfortable corner seating area for relaxing and for all the family to get together, along with a separate corner seating area with three additional stools, for dining. A 32" flat screen TV/DVD is provided in the lounge, along with a wall-mounted fire that can be used to add any additional heat in the home.